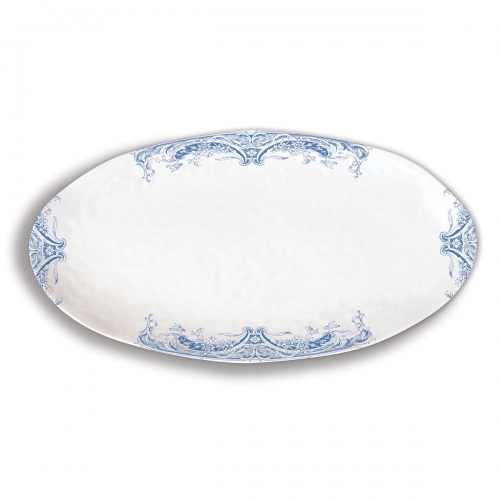 Antique Scroll Oval Serveware Platter Shop the largest selection of Michel Design Works oval serveware platters and more - Antique Scroll Collection. Plus free ground shipping on orders over $50. 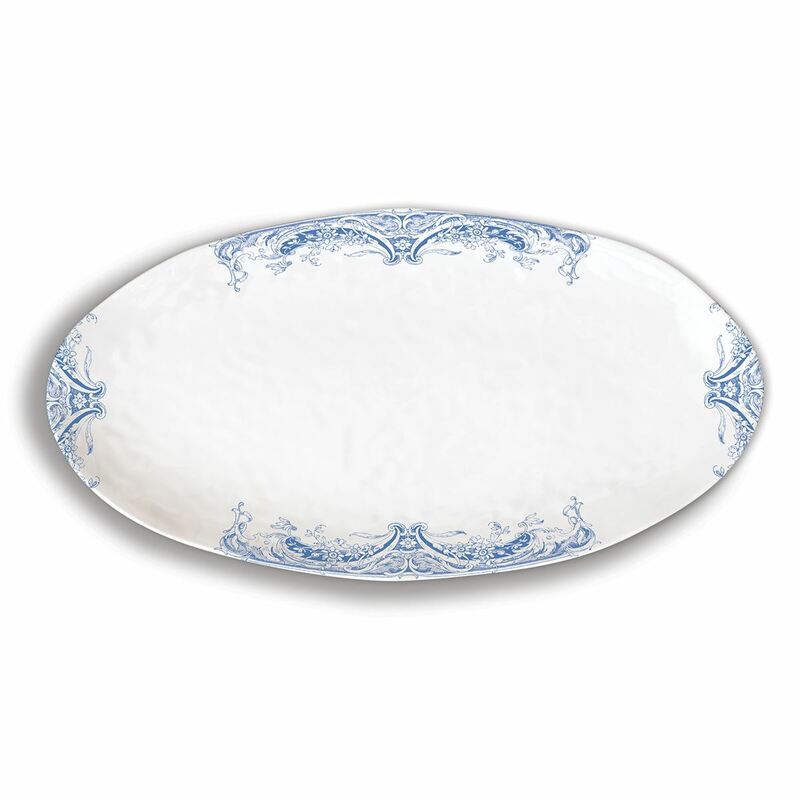 Use our versatile melamine serveware platter for appetizers, for corn on the cob or a crisp baguette, for a whole fish or a selection of sushi. The possibilities are endless! Approximate size: 10" x 19" x 1.25" / 25.4 cm x 48.3 cm x 3.2 cm. Antique Scroll: Lively, full of detail, and rendered in soft shades of blue, this design offers a modern take on the beauty of classic china.